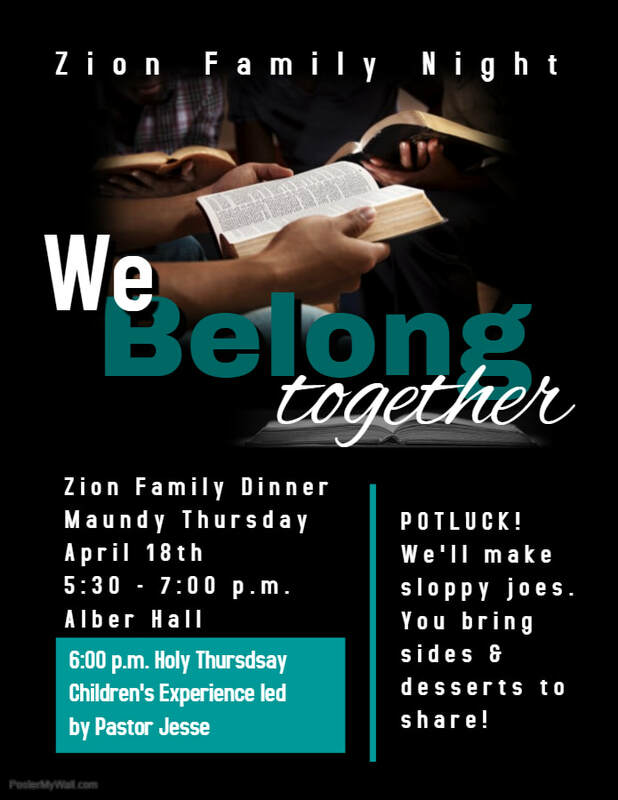 In the spirit of "we belong together" the usual Holy Thursday experience will be transformed into a Zion family dinner. It is free and everyone is invited. However, we ask that you sign up at the Welcome Center so we know how many people to anticipate. We'll make sloppy joes if you bring a side or dessert to share. Dinner will be available from 5:30- 6:45 p.m.
the Holy Thursday worship service at 7:00pm. Take a night off from cooking and enjoy a Holy Week dinner with your Zion family.